I’ve been traveling our country for almost 2 years now, been to some of the best tourist destinations from Ilocos Norte in Luzon and to Basilan in Mindanao. But if someone asks me a question, “Where do first timers with busy schedule should go in the Philippines?” I would definitely answer Bohol. Why? 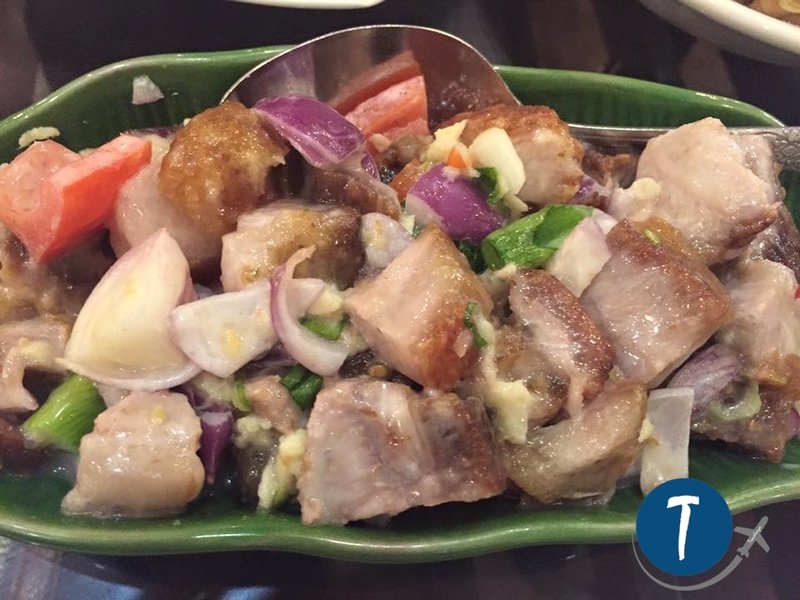 To compare it to a dish, Bohol is what you would call as kumpletos rekados. For this reason, I believe, Bohol has what it takes to be the country’s front liner when it comes to the best tourist destinations. 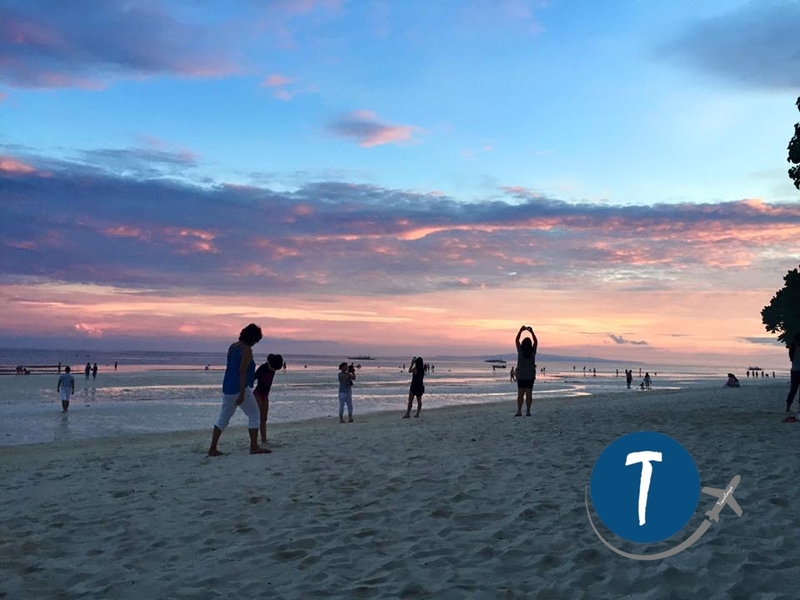 Bohol has wondrous landform, a distinctive animal creature, powder-white sand and crystal-clear beaches, a premier diving spot, and a stunning skyline. 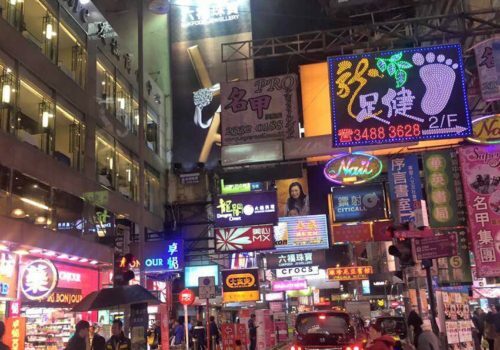 It is the best place to relax but it also has the best night life. 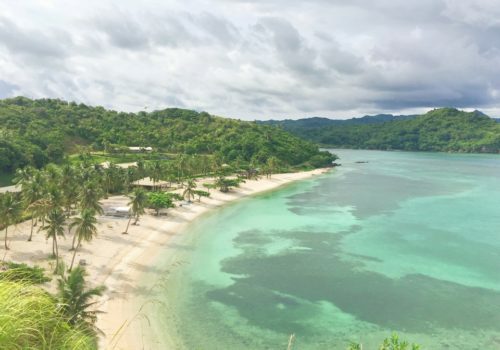 Undeniably, the 10th largest island in the Philippines has so much to offer. During my recent travel in Bohol with my friends, I’ve observed that there are more foreign tourists than the locals. It tells me that our foreign friends really love the cool atmosphere of this province, in fact, many have made themselves permanent residents in Bohol. 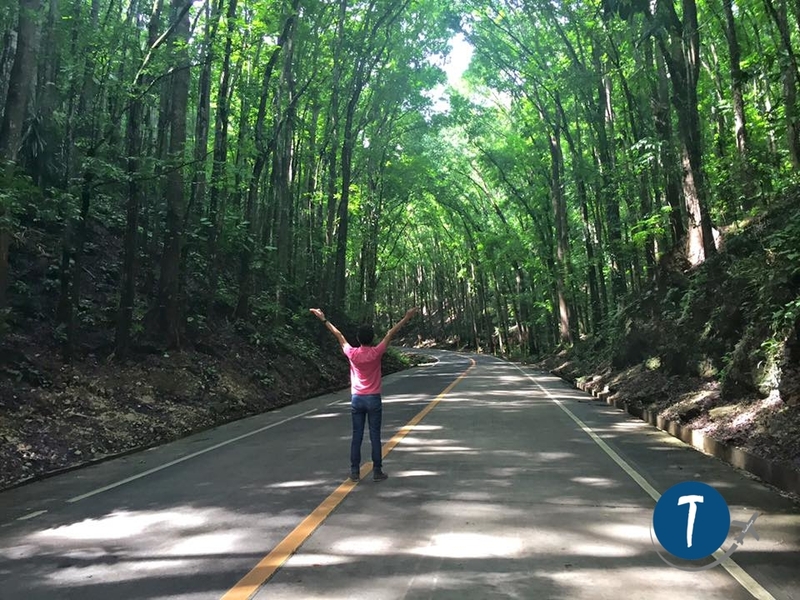 A province that has so much to offer, really, who wouldn’t love Bohol? They name their thousand dotted Hills “Chocolate” Isn’t it yummy? Definitely YES! I’m not a fan of chocolates but these hills are so enticing. As far as I know, you can’t find this extraordinary landscape anywhere else in the Philippines. It’s estimated that there are at least 1,268 to about 1,776 of these individual mounds, which would you believe, are made of limestone. These grassy hills were once coral reefs that erupted from the sea. 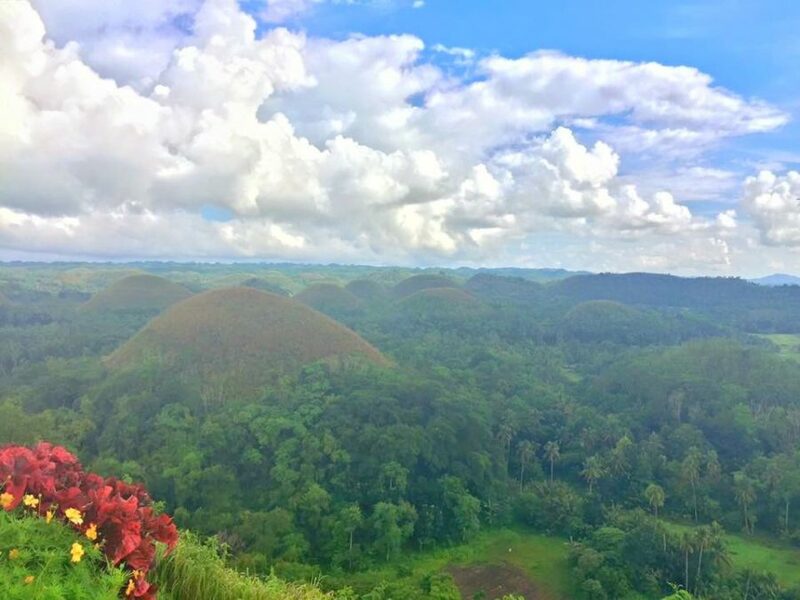 Your visit to Bohol will never be complete without seeing this remarkable view. The home of one of the world’s smallest existing primates! I’m surprised and delighted to see that our Philippine Tarsiers are not caged. 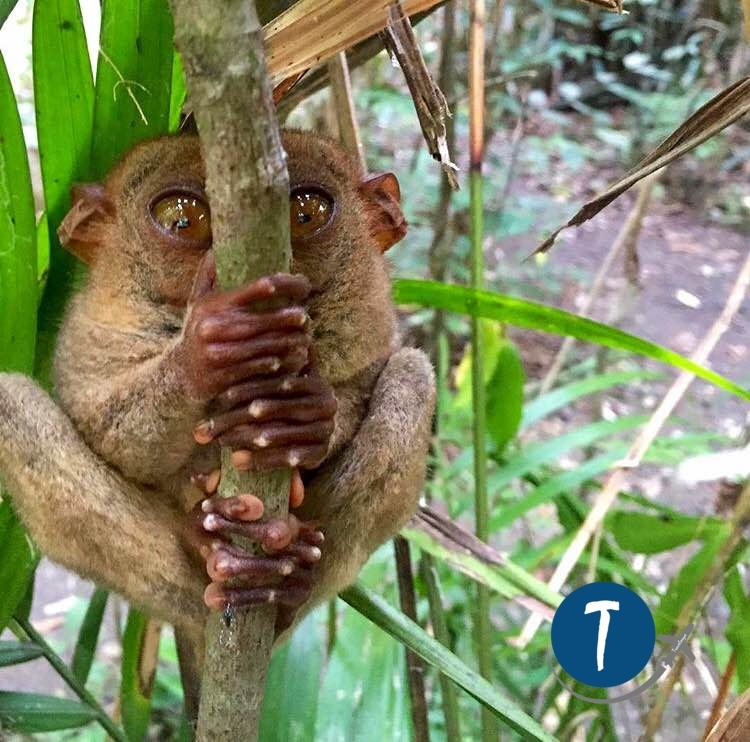 These wide-eyed tiny creatures, dubbed as the smallest primate in the world are allowed to live in their natural habitat under the care of The Philippine Tarsier and Wildlife Sanctuary. Said institution is dedicated to the preservation and scientific research on the endemic tarsier of Bohol. Considered as one of the endangered species in the world, a tarsier measures only about 85 to 160 mm and with a mass of between 80–160 g. I wasn’t able to get a closer view, nevertheless, I was happy to know that these creatures still exist and are seriously being taken care of by an organization. Our small act can prolong and multiply the life of these species. Remember to please keep quiet when visiting the sanctuary. Tarsiers they say can commit suicide when it’s traumatized or when there’s too much noise or if it’s been touched by humans. If you are interested to help the research and preservation of the Philippine Tarsiers please visit this Tarsier Foundation. A place for a revitalizing river cruise! 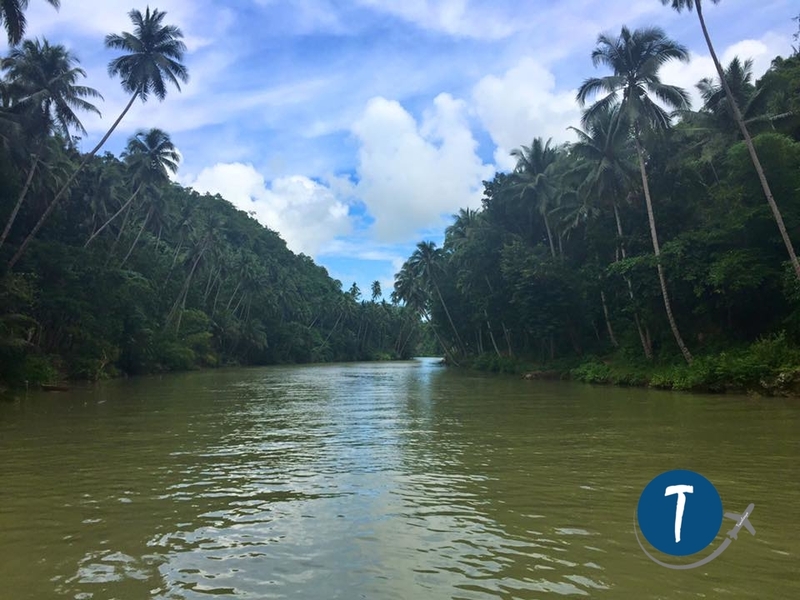 I’ve heard from many people that the food in the Loboc River Cruise leaves so much to be desired. Well, they weren’t lying. Nevertheless, I’d still recommend taking this cruise because it is a refreshing way to have a break. It’s a slow and calm cruise with an awesome view of the river, trees, and the sky. There you get to be serenaded by a man with soothing music. Also, you get a chance to watch and join a group of locals who sing and dance the traditional folk dance called, Tinikling. The cruise takes about an hour. The serene moment with the view of the luscious palm trees is truly an experience worth taking. Enter the Magical world of Bilar Man-Made forest! We were not warned that there is something special in this two kilometers road. And so we were certainly not prepared to be amazed by the view of the dense forest made of Mahogany trees. The feeling is unexplainable, it’s just WOW! I couldn’t count the number of roads that I’ve passed by but this one certainly takes the cake for being the most beautiful. Thank you to all people who have been part of this successful tree-planting project that started way back in 1968 to 1970. Because of those people, we now have a chance to experience this feeling of being enthralled in this surreal forest. If you are going to Chocolate Hills, you will surely pass this road so be prepared to be amazed. A church considered being as one of the National Cultural Treasures of the Philippines. It saddens me that I wasn’t able to witness the grandeur of Baclayon Church before it was hit by a 7.2 magnitude earthquake in October 2013. This church, which is made of coral stones, is the oldest Christian settlement in Bohol. La Purisima Concepcion de la Virgen Maria Parish Church was founded in 1596 and was elevated as a parish in 1717. 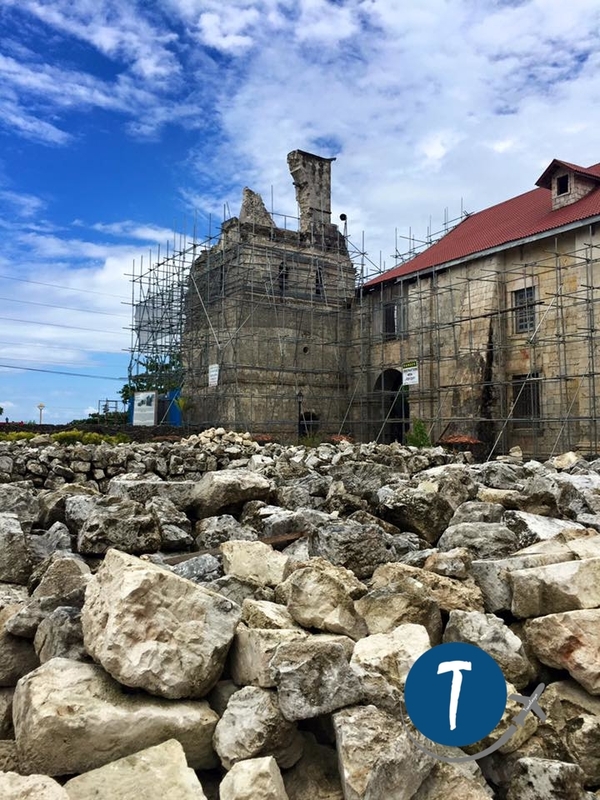 Today, Baclayon church is undergoing rehabilitation. We all know that bringing back its original glory is a big challenge. Nevertheless, let’s put our faith that one day it will rise again. The beach is exquisitely beautiful, a perfect place to relax and party! The Philippines is really blessed if not by hundreds, maybe thousands of astonishing beaches. No wonder, we have 7,101 islands, right? 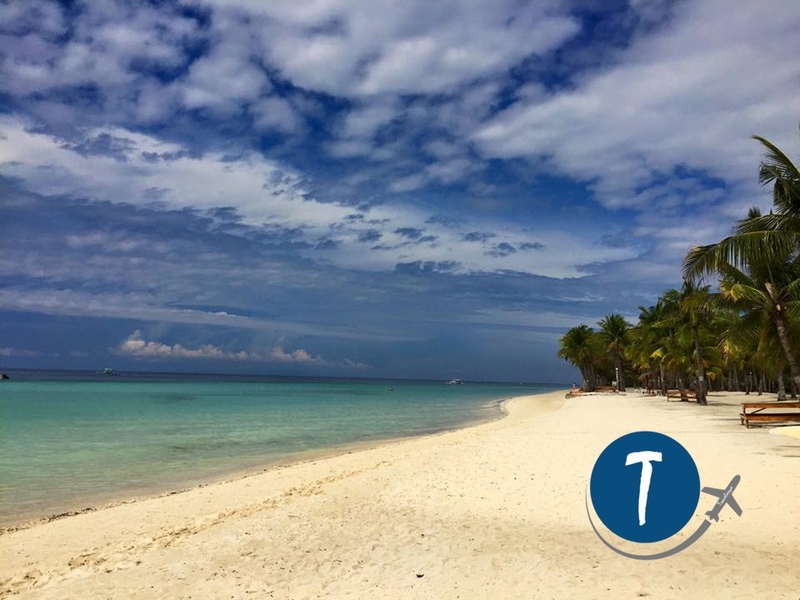 I am not sure which beach is the most beautiful of them all but I can confidently place Alona and Dumaluan Beach on the top spot. I spent my time mostly at Dumaluan beach. This place is recommended for people who are looking for total relaxation. As I walked through the fine sand beach watching the unbelievable calm, turquoise clear green water, and the changing views of the sky, the heavenly seascape almost felt like an illusion. Nightlife at Alona starts at midnight. We arrived too early so we initially thought that the nightlife there was lifeless. However, as the night deepens, the crowd started growing and went wilder by the minute. 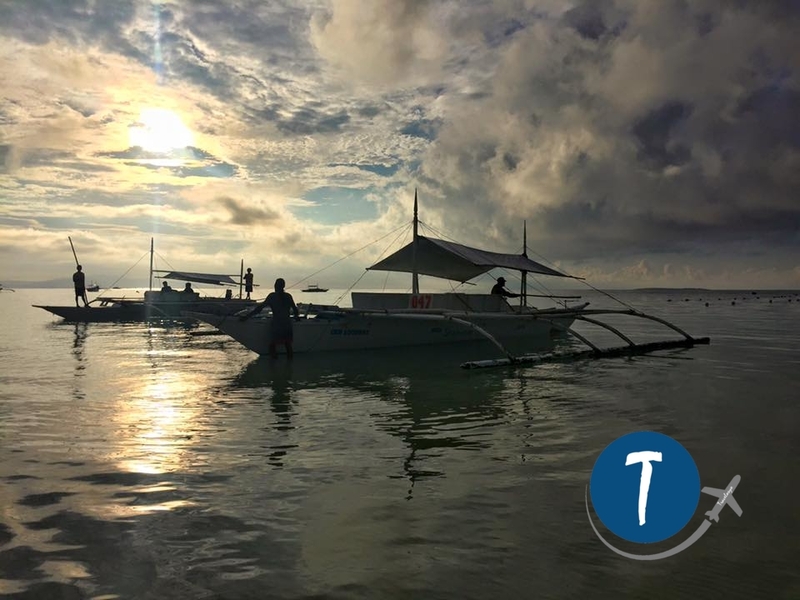 To be honest, though, Boracay is still the best place for a beach party, but if you are ever in Panglao, and you are looking to party then I’m happy to report that you will not be disappointed. 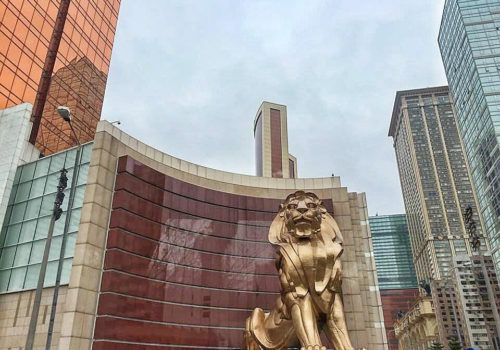 For discounted hotel booking, please click this link. You should also not miss the Virgin Island, where I found the longest sandbar I’ve ever seen. Unfortunately, we were there during high tide so the sand bar was a bit short. Lucky are those who able to see it. The underwater world is Extraordinary! It is undeniable that our country is a must-go place for people looking for the best diving experience. Being part of the coral triangle, an area where you can find more fishes and corals than in any other part of the earth, our water world is definitely world class. Like I needed more proof of this, we were able to experience this when we went to Balicasag Reef. 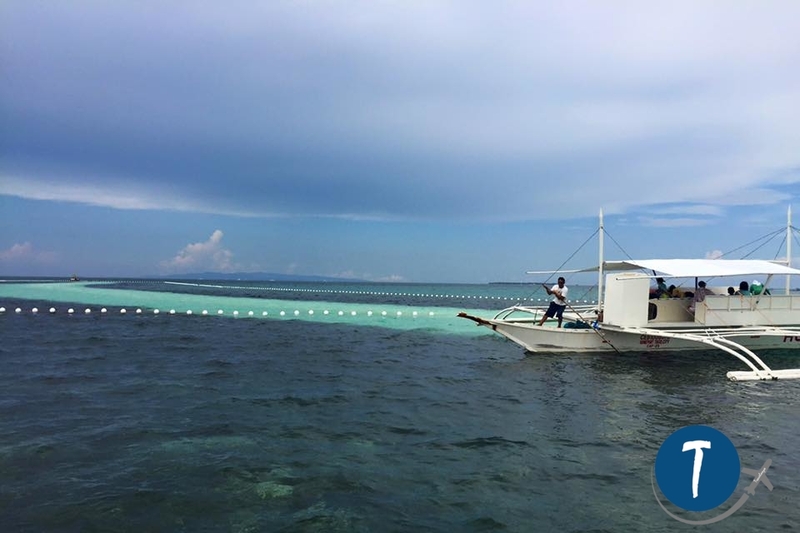 On our way to Balicasag Reef, we had a chance to see some dolphins. I expected that we would see lots of dolphins because we went there for dolphin watching. I realized though that whether the dolphins wanted to be seen or not is out of our boatman’s hands. At least we were able to see a few of them jumping in the air so I still consider it as an awesome experience. I set my expectations high when I learned that we would go snorkeling in Balicasag Reef because it gained good feedback from my friends. Good thing I wasn’t disappointed. Possibly, the best snorkeling site I ever have been yet, Balicasag’s reefs are so colorful and the corals are abundant. I really had fun feeding hundreds of fishes. I declined to wear a life jacket as the sea was calm that time and would limit my movement. The water is too salty though that I kept going back to the surface whenever I tried to dive deeper. Do the dolphin watching as early as 6:00 a.m. to have a higher chance to see more dolphins. If possible, bring something to eat going to Balicasag Island. The food here is extremely expensive. To save more money, bring your own snorkeling gear. Snorkeling gear rent here is 150php/person. I don’t want to call it a SCAM but locals will forcefully offer you to rent a small paddle boat for 300php each, saying that it would bring you to this snorkeling site where most tourists are. I recommend that you instruct your boatman to park near the snorkeling area. 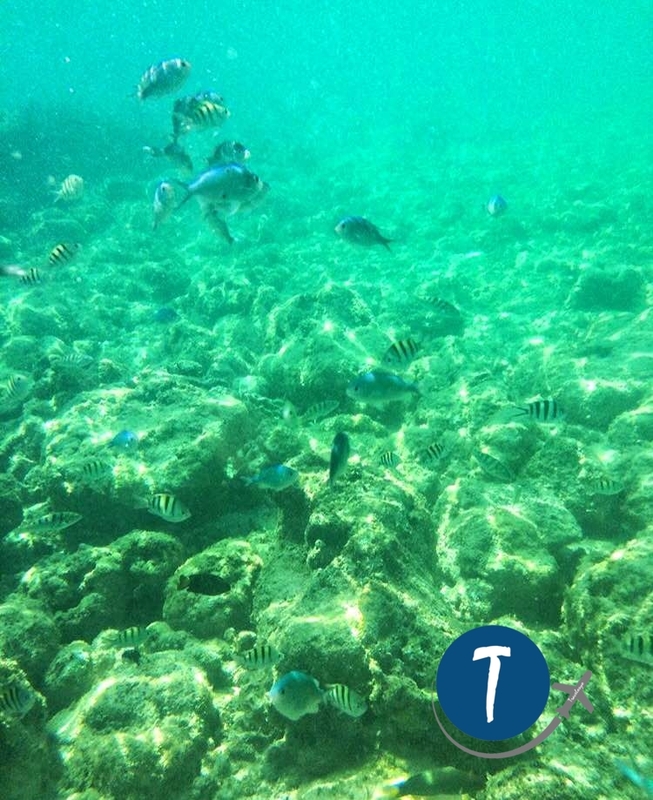 If this is not possible, just walk or swim your way to the snorkeling site, it isn’t that far from the shore anyway. However, you still need to pay around 100php for the environmental fee. The food is as delightful as the island! Indeed, Bohol is an expensive place for travel so we didn’t have a chance to go to more food establishments recommended online. Nevertheless, I could say I’m contented that I was able to try Payag’s Chicken Inato and Binakhaw. This is the best choice for people on a budget, food here is super affordable and yummy. Also, do yourself a favor and try the famous Dinakdakan of Gerarda’s Restaurant. The food here is so good, it might set a good competition with the other Filipino restaurants in Manila. 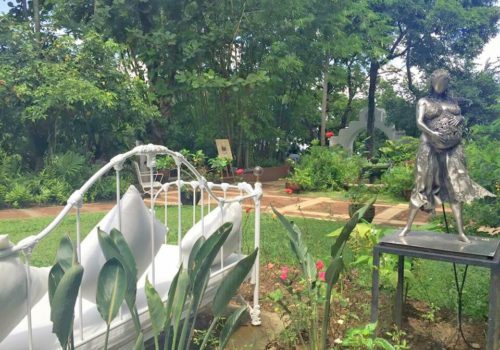 From the customer service, the restaurant’s ambiance, to their delicious food, it is no wonder they were awarded as the best restaurant in Bohol by Tripadvisor. See butterflies and be amazed to witness a gigantic snake. Expect fewer butterflies when visiting The Butterfly Sanctuary, maybe it’s not their season yet. What really made this visit memorable for me though is our funny tour guide. For the snake lovers visiting Bohol Python and Wildlife Sanctuary will surely give them an extra sensation. The largest python in captivity in Bohol named “Prony” died in 2013. Prony measures 27ft long. Its preserved body can be found here. I had goose bumps just by seeing the remains of a 27-feet long snake, what more if it were alive. Be brave enough to cross a hanging bridge. If you are seeking for a quick thrill, crossing the bamboo bridge at Sevilla might just be able to do it for you. This bridge is cited as one of the most spectacular hanging bridges in the world by CNN lifestyle. At first, I thought it’s going to be a normal and dull activity. But honestly, I grew a little concerned when we finally crossed the bridge. For me, it really looks unsafe. Even so, this bridge is certainly picture perfect. 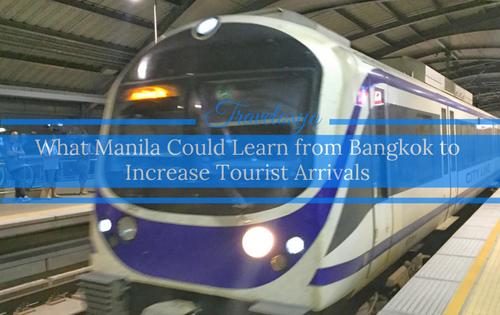 TIP: Souvenirs are cheaper here. Best to buy here! Visit Danao Adventure for Eco/Extreme and Educational Tour. You can do caving, river kayaking and trekking, root climbing, Skyride, and suislide. For booking and more info please Danao Adventure Park. 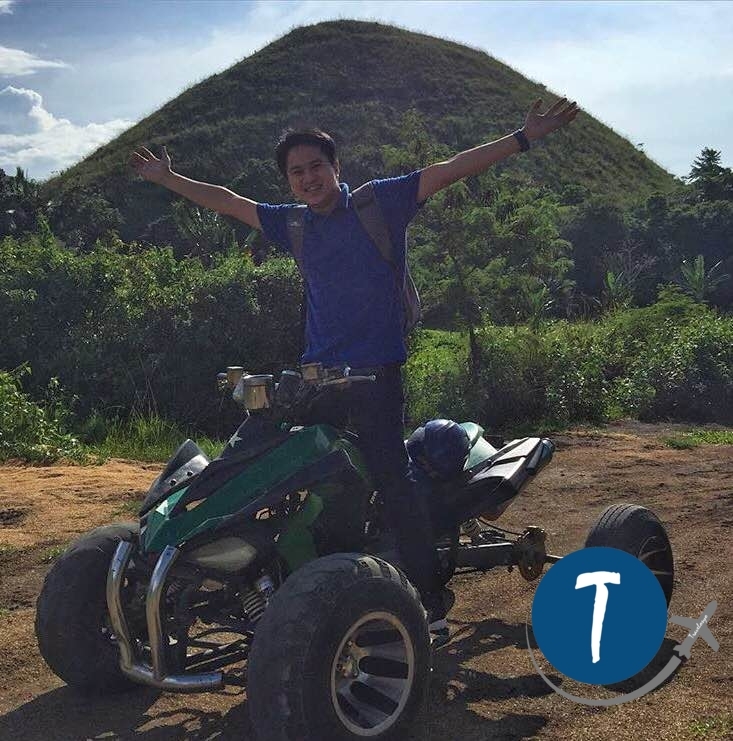 Do ATV and Sky biking with a view of chocolate hills. 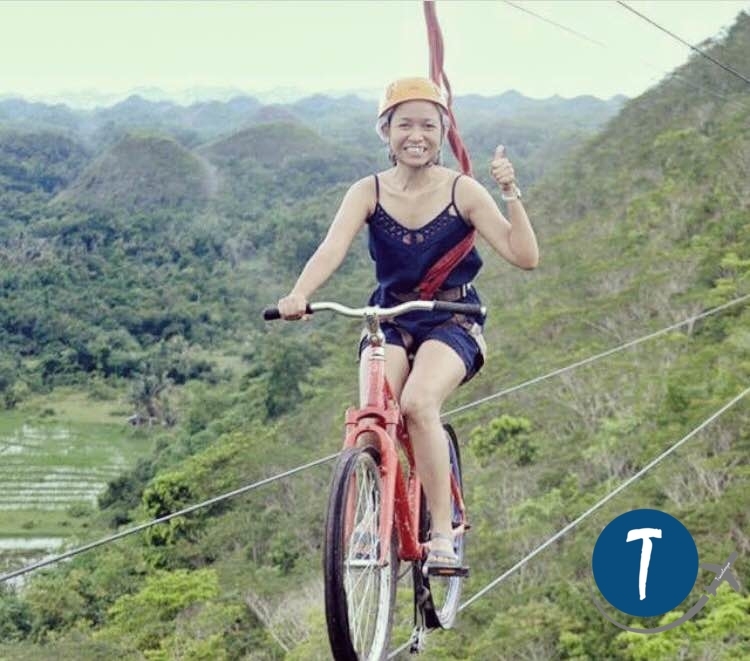 This is one of the reasons why I want to revisit Bohol; I wasn’t able to try these activities but they sure look fun and exciting. Swim inside Hinagdanan Cave– Water is so clear and prepare to see bats inside. 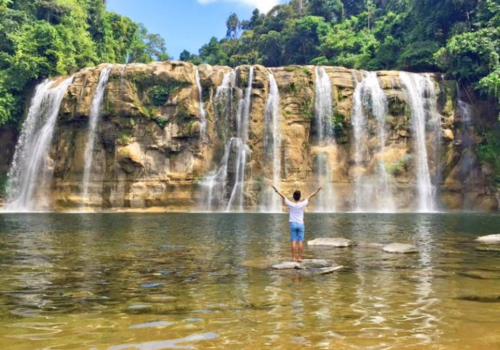 Visit different falls found on this island– Bohol also houses a lot of refreshing waterfalls. Aside from the beach, I’m a falls lover. But most of the falls in Bohol are hidden and not a popular tourist destination. 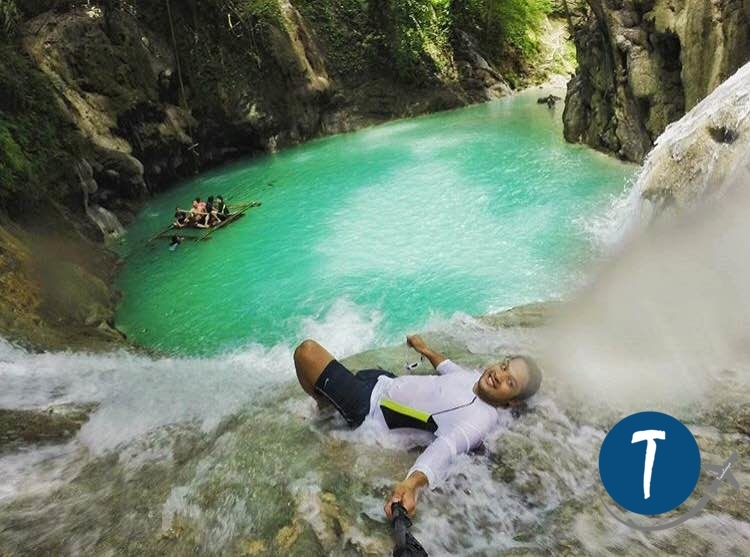 Few known falls are Inambacan, Mag-Aso, Kawasan, Camugao, Busay, Dimiao, and Nilukson Falls. 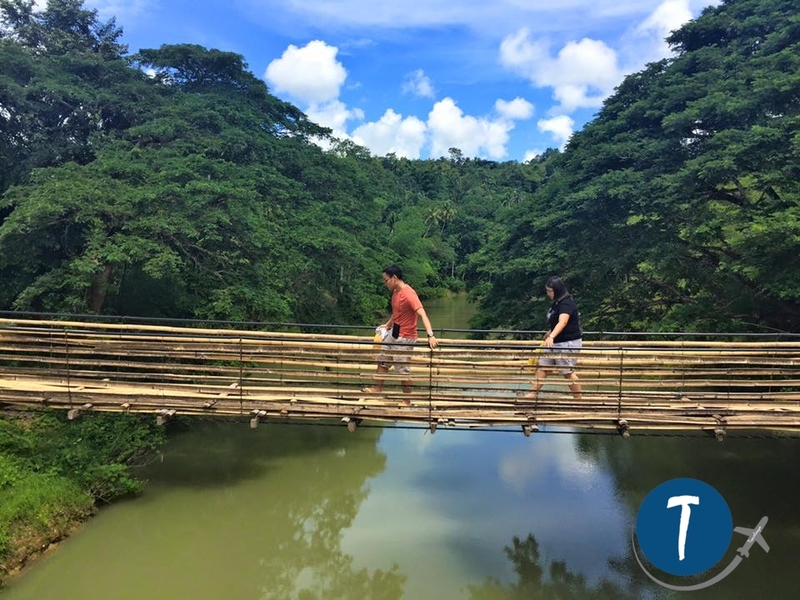 There are so much more to do and see in Bohol. I’m happy to see that Bohol is recovering after the disastrous earthquake in 2013, with so many tourists coming in and out of this island. I hope that the local and national government will build if not at least renovate its airport. It’s sad to say that despite the beauty of this place. They have one of the poorest airports in this country. Truly, our short stay was not enough to do all the fun and adventures so I’m really excited to do a revisit. I have to put Bohol on my bucket list now, it looks stunning! You sure enjoyed Bohol more than I did. I loved Alona beach too, reminded me so much of my favorite island, Boracay. You should have tried the Buzz Cafe. 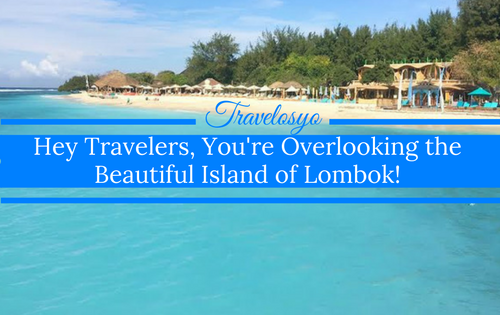 Hey Travelers, You’re Overlooking the Beautiful Island of Lombok!